April | 2015 | NICE! 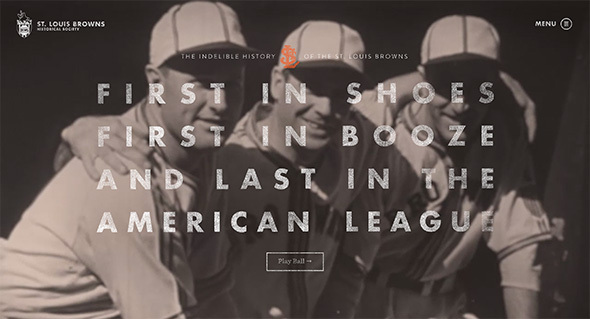 Lovingly crafted site for baseball team The St. Louis Browns, and their history. 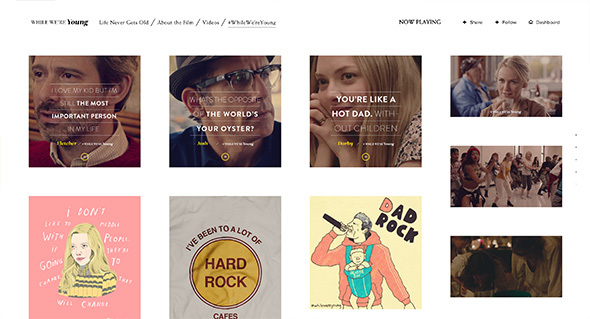 Feels very much like an app, with rich photos and video, all with nice typography. 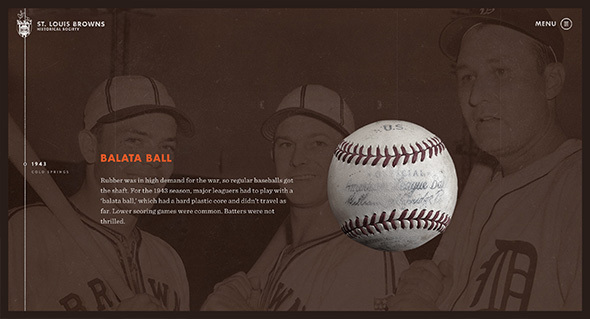 Loads of detail and interesting nuggets of info, from photos, balls, and history. 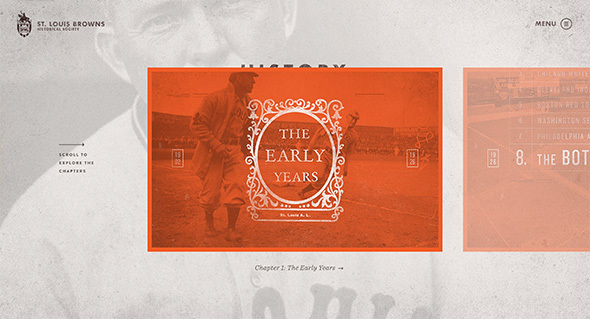 Look and feel is nicely grained and with hint of nostalgia – it looks great with accented orange colour – all nicely designed and all in all a rich, interactive, encyclopaedic experience. 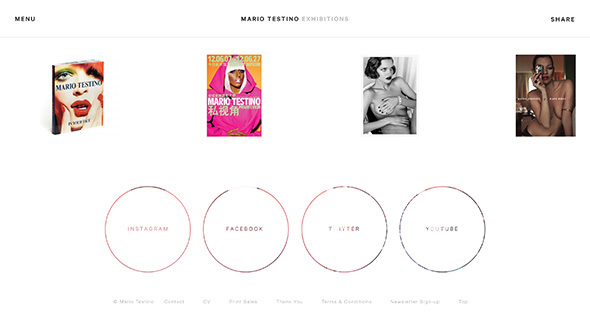 Lovely new site for the famous photographer Mario Testino. 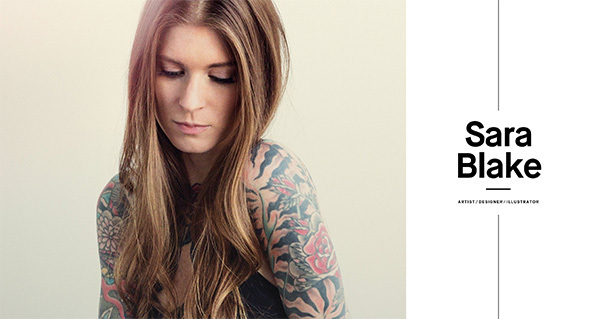 Well thought out and considered, a fresh approach to the photographer’s portfolio. Love the news feed highlighting the latest projects, the project view, where scrolling down scrolls the photos horizontally, and at the end of the page – suggested next reading, and other useful links. 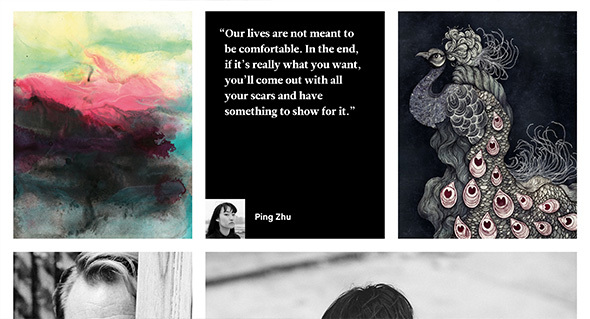 There are loads on nice little details like these dotted all over the site. On top of this it all looks great, works really nicely and is responsive too, working great on mobile and tablet. Created by Marc Kremers (@marckremers). 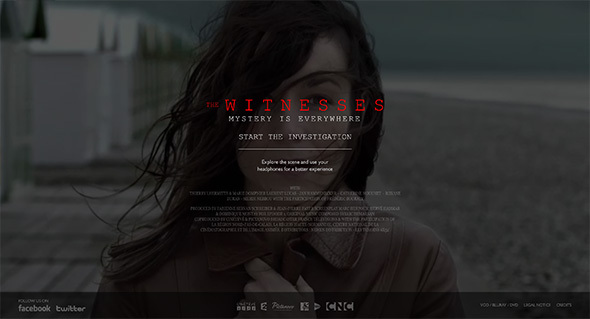 Promo site for new French TV programme “The Witnesses”. 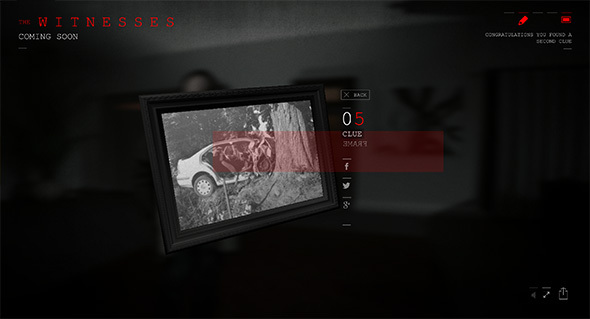 Set in a crime scene where you pan your first person viewpoint across a crime scene accompanied by the cast of the show. 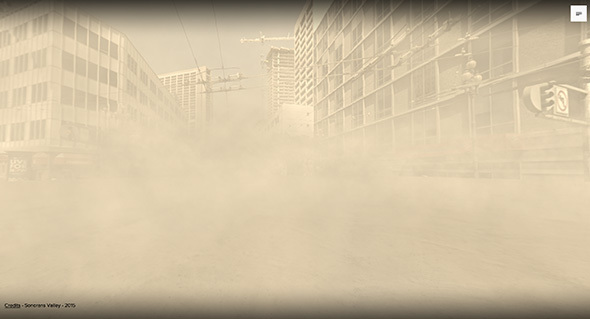 Find clues – lovely draggable 3D objects – to help unravel the scene. Nice moody and dark look and feel, brought to live through slick animations and transitions and a bit of help from some 3D effects. Well crafted and immersive experience. Created by HKI HelloHikimori (@hellohikimori). 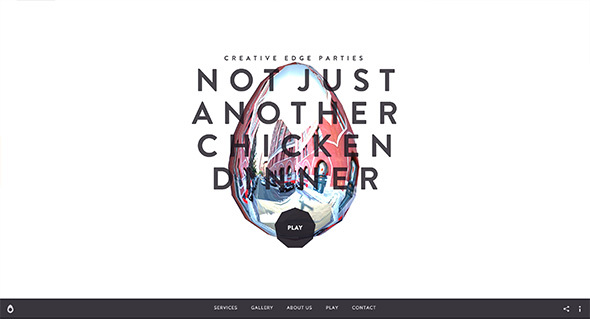 Really interesting site for Creative Edge Parties – event planners and caterers based in NY. 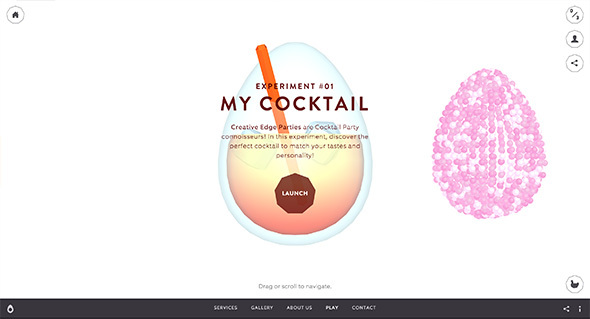 Love the creative approach to the project, packed full of personality with bouncing, pulsing interactive transitions – love the ‘play’ section of the site where interactive experiments take the stage. 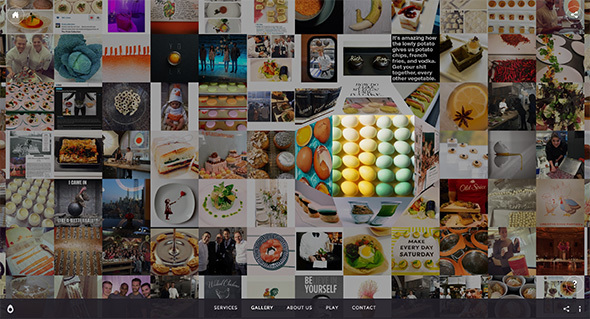 Every section of the site has something to play with or interact with – all a bit of fun. 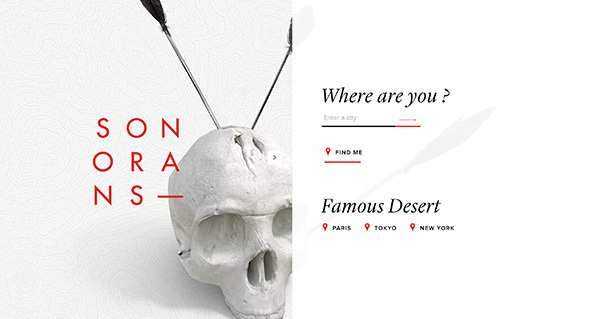 Lots of cool transitions and 3D elements and animations. Created by Adam Hartwig (@ImAdamTM). 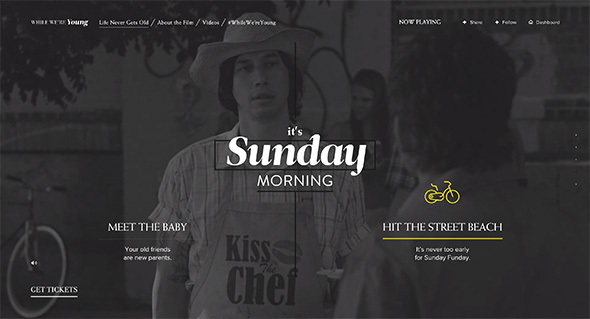 Nice creative personal project from creative and developer duo. 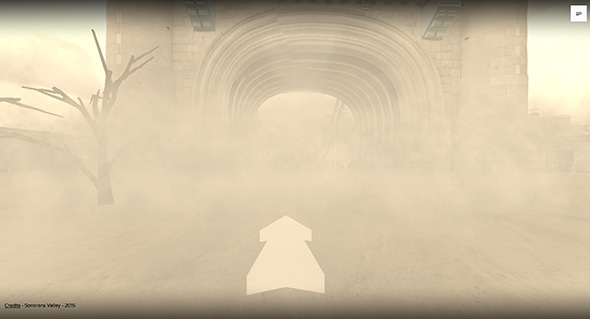 Using a barrage of 3D effects the site uses Google Maps Streetview to place you in an urban desert complete with volumetric sand, lighting, trees, and audio. 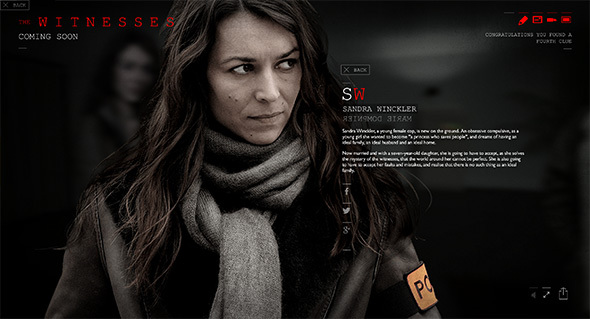 Nice little backstory to the project and beautifully crafted the interface, menus, animations and interactions all enhance this cool project. Really pushes the boundaries of what is possible with browser based 3D. Created by Thierry Ambraisse (@hellothierry) and Samsy (@Samsyyyy). 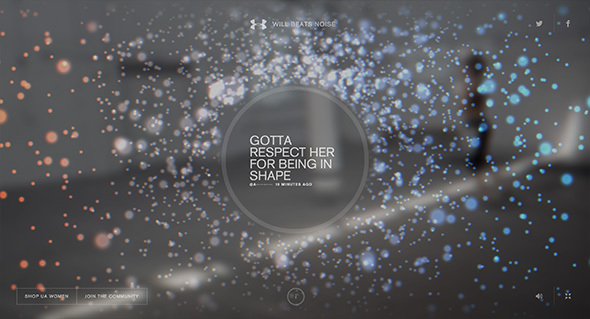 Interesting site for sports wear brand Under Armour. 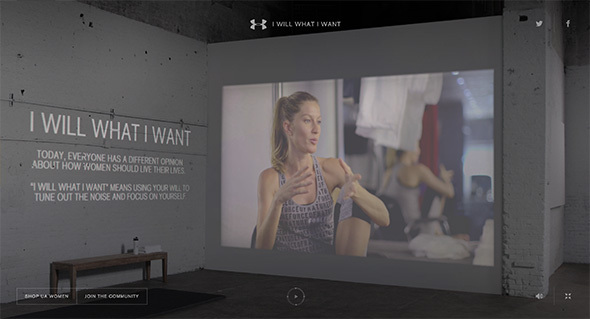 Featuring model Gisele Bundchen working out with real time comments posted on social media projected on the walls around her. Love the circular interface element allowing you to jump ahead to various parts of the video. The comments section is executed with finesse – love all the comments bubbles and the way it all transitions in. 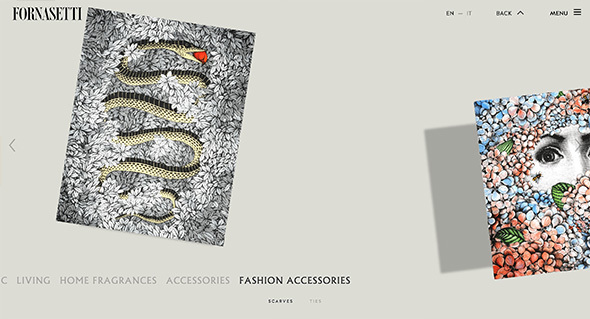 The whole site is really well crafted with good attention to detail, a slick experience. 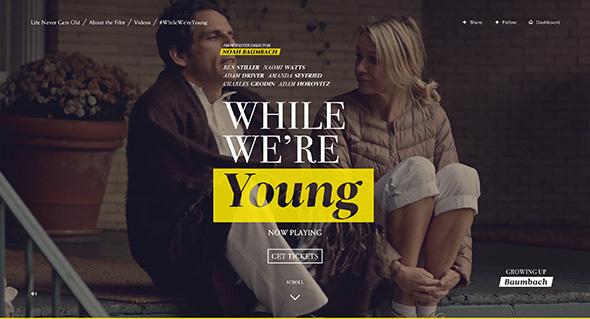 Created by Droga5 (@droga5) and Active Theory (@active_theory). 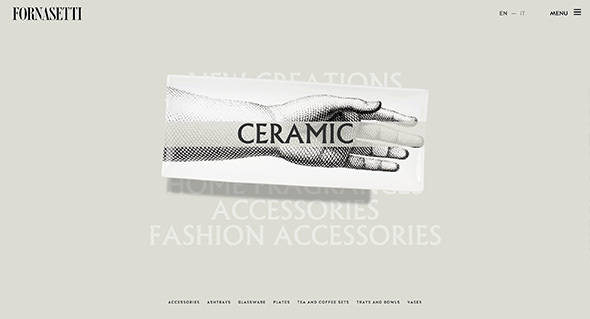 Site of design magazine The Great Discontent. 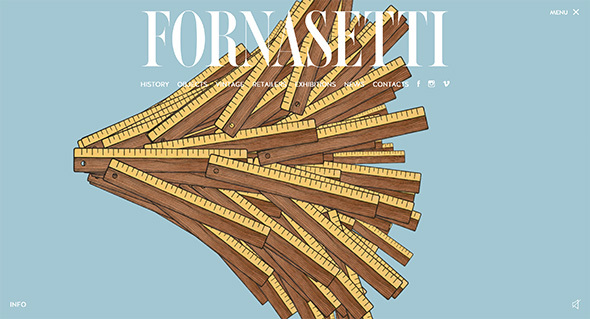 Lovely editorial layout, large imagery and great fonts. Love the article pages, with all the various details that make it a pleasure to read. 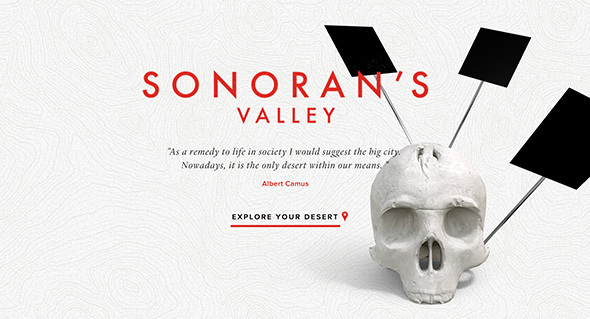 Nice considered use of white space and use of imagery. 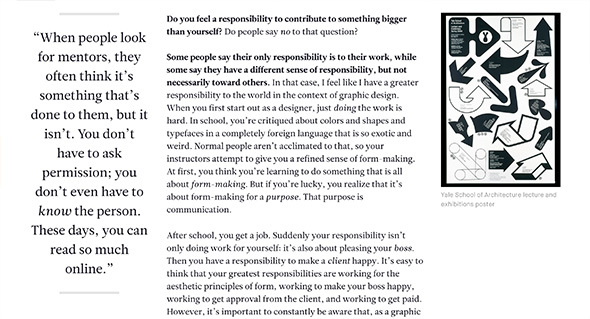 Feels super crisp and clean and well designed, with insightful and interesting content. Created by Ryan Essmaker (@ryanessmaker).